Energy powers our lives. Literally. But how we generate that energy matters, and as oil and natural gas development in the Bakken continues to grow, even as coal remains the primary source of energy in North Dakota (we’re talking 75%), now might be a pretty good time to take a closer look at where Fort Berthold’s energy comes from. Generally, rural areas like Fort Berthold are presented with expensive, inconsistent, and low-quality energy service. Even when service is consistent, few energy consumers have much choice in how their energy is generated. A tribally owned and operated utility authority, however, could be the ticket to investing in energy infrastructure that meets the needs and priorities of the Tribe. Why should Fort Berthold think about where its energy comes from? Could energy independence be a possibility for MHA Nation in the future? What would it take, and what benefits would it bring the Tribe and community? Several Native American tribes around the country already own and operate electric systems through a tribal utility company, for a variety of reasons. Some tribes were dissatisfied with their previous electricity suppliers. In some cases, those suppliers were unable or unwilling to meet the needs of more remote homes on tribal lands. For other tribes, establishing their own utility company was just another step in advancing self-determination and exercising sovereignty—and made good economic sense. 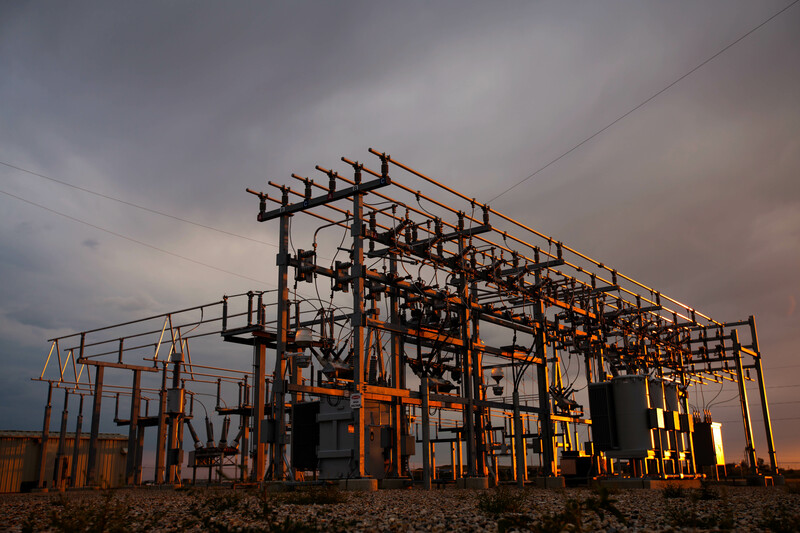 Owning and operating electric utilities can provide tribes with opportunities to improve economic conditions on the reservation and attract other energy businesses. And because Native American tribes are sovereign nations, the tribe is responsible for regulatory duties typically assigned to state public utility commissions, giving the tribe more oversight. Whatever prompted a given tribe to pursue energy independence, most would agree that tribally owned and operated utilities ensure that tribal peoples’ concerns are considered. And while there may be hurdles to taking ownership of energy sufficiency, plenty of case studies and successful tribal utility programs offer insight on how these challenges can be overcome. There are also a number of legislative incentives to help tribes achieve energy sufficiency, whether by encouraging education and training or providing loans and tax incentives, including the Indian Self-Determination Act of 1975, the Indian Tribal Government Tax Status Act, the Energy Policy Acts (1992 and 2005), and the Americans Recovery and Reinvestment Act. Though tribes have found success operating their own electrical utilities, there were lessons learned along the way, and the road to energy independence isn’t an easy one. Start-up capital and utility management experience were common hurdles tribes reported in seeking to establish their own utilities. The Tohono O’odham Utility Authority, for example, found it difficult to secure funding as a legitimate utility to begin operations without transmission facilities, but needed to borrow funds in order to secure those facilities. In areas already being served by other utilities, tribes must either negotiate the purchase of those utilities’ infrastructure, or overbuild their own infrastructure before they can take over as energy suppliers. These negotiations can produce further hurdles as well. The creation of Umpqua Indian Utility Cooperative by the Cow Creek Band of Umpqua Tribe of Indians, for example, depended heavily on cooperation from its existing utility provider, to the extent of having to condemn that provider’s utility facilities as personal property to work around an internal policy that prevented the utility from selling the facilities outright. But because there is no state regulation on tribal lands, the Cow Creek Band had to first ensure its government put their own laws into place to protect their interests and their customers from potential retaliation during the transition. Deciding to operate a tribal utility is certainly an investment, but one that can increase quality employment opportunities for tribal members and increase quality of service for the entire reservation. While finding tribal members with the necessary skills and experience can be difficult initially, the legislative incentives referenced above can provide funding for training, including management and technical skills, to promote energy sufficiency and education, leading to more opportunities for our youth, closer to home. And other tribes have already begun paving the way. The Aha Macav Power Service owned and operated by the Fort Mojave Indian Tribe, for example, established an apprenticeship program to train tribal members under the supervision of experienced journeymen. Their hope is that they will someday be able to boast a 100% tribally staffed operation. Energy independence provides tribes with one more opportunity to make sure their voices and concerns are heard. And as technology and economic opportunities continue to develop in renewable energy, taking ownership of utility operations on the reservation can also provide tribes with the opportunity to attract energy businesses and economic growth in a manner that will best serve the tribal community and its interests–and respect its values. To learn more about how other tribes have established energy self-sufficiency and to see examples of their utility plans, visit the 2010 Tribal Authority Process Case Studies, also available in the Resources listed at the bottom of the Electric Transmission Plan page on Fortbertholdplan.org/power!